We believe that children learn best when they are playing and are involved in experiences and activities that interest and delight them and that support their interests, needs and strengths. We provide an inspiring environment for children to develop the skills and qualities needed to flourish in all aspects of life, including school. In preparing children for the future, we also value the “here and now” in children’s lives and allow unhurried time for children to make sense of the world as they play and enjoy being 4 and 5 year olds. School readiness is not a separate program but is an integral part of our everyday program as we nurture all areas of children’s growth and development. 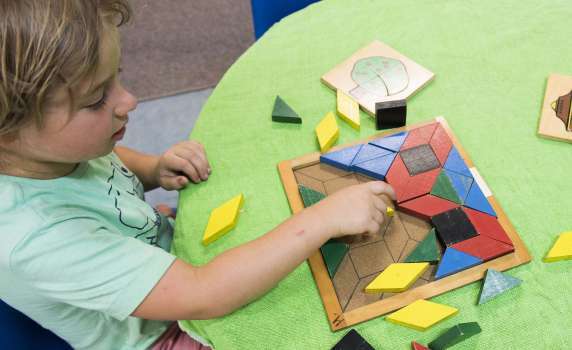 Through play, children will learn skills in areas such as numeracy, literacy and self-care and, just as importantly, they will develop the physical, social and communication skills to help them take on the challenges and opportunities that life (and school) might present. 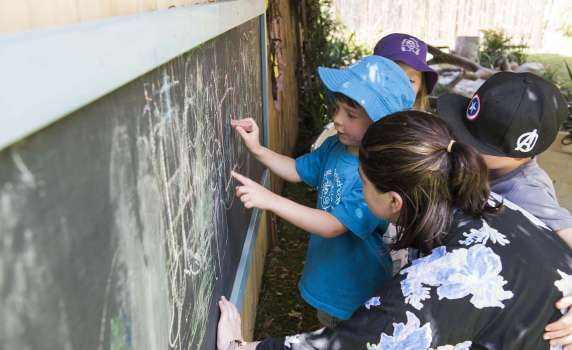 Because teachers and educators at Preschool focus on individual children’s interests, strengths and needs they foster curiosity, enthusiasm and a willingness to learn – important dispositions to be successful and confident life-long learners. Positive relationships with children, their families and the community form the foundation of everything we do. We believe that to be ready for school, children also need ready families, ready schools and ready communities. We work collaboratively with our families, schools and other community organisations to achieve good outcomes for our children. We recognise parents and families as the child’s first teacher and work with them to gain a shared understanding of each child, including their cultural and religious backgrounds. Our partnership with parents begins with registration and orientation meetings and extends to regular catch-ups throughout the year. There are many opportunities for families to be involved in different ways in our Preschool. 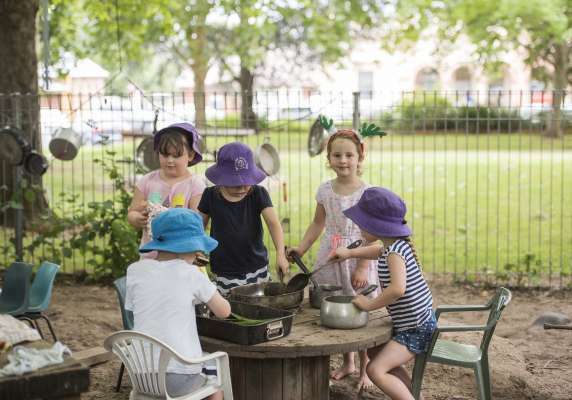 We have strong relationships with each primary school in Mudgee and help to ensure that appropriate transition plans are in place for every child, acknowledging that some children may need more support than others. Every year, we prepare a “Transition to School Statement” for each child which is sent to the child’s school and which outlines their progress and development as well as their strengths, needs and interests. Children and parents also contribute to the Transition to School Statement. We recognise that the Wiradjuri people are the original owners of our land and work to raise understanding of Aboriginal culture and history through respectful connections with local Aboriginal people. We include culturally appropriate resources in our program and Aboriginal music, art, stories, dance and symbols are part of our everyday activities. Our community connections are strengthened with regular excursions into the town and visits from different community members such as the local fire fighters and environmental officers from the Council who help us to plant trees in community parks and spaces. We work closely with community organisations such as Mid-Western Region Community Health, Barnardos and the Benevolent Society to support families’ and children’s health and wellbeing. Our Director is an active member of the Mudgee Region Child and Family Network and is well positioned to advocate for the needs of young children, their families and early childhood services.